The South African Vehicle Rental and Leasing Association (SAVRALA) has announced Volkswagen as the Manufacturer of The Year (MOTY) in the car rental sector for the seventh consecutive year. The SAVRALA’s MOTY award recognises exceptional levels of service, new standards in technology and safety as well as continuous improvements in service delivery by vehicle manufacturers. Volkswagen was presented with the award at the 21st edition of the annual SAVRALA gala dinner which was held in Johannesburg recently. Volkswagen was the biggest winner on the night as it also walked away with other key awards which included the Value Award, Best Account Executive for Loshini Pillay and Best Manufacturer’s Technical Representative for Robert Wright. Audi won the Tutuka award for the second year in a row. The award is presented to a premium brand that has demonstrated commitment to satisfying the needs of customers in the niche and lower volume segment. 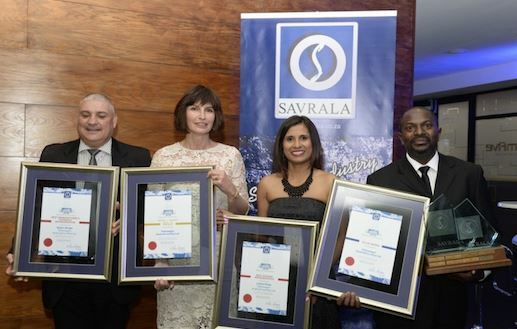 The recipients of the SAVRALA awards are decided through a stringent process by rental companies such as Avis Budget, Bidvest, Hertz, Europcar /Tempest, Thrifty and First Car. These companies are required to rate 26 motor manufacturers that they interact with using a survey containing different and targeted questions ranging from aspects such as communication, contact with the manufacturer, technical assistance, parts availability and pricing structures.